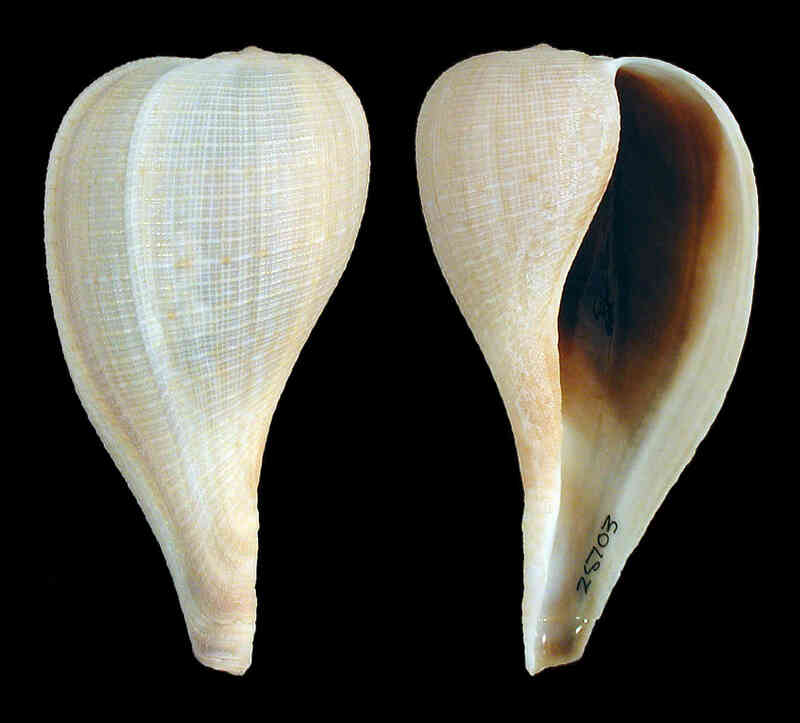 Shell thin, with low spire and shape of fig or pear. Aperture tapers gently toward extremity of anterior canal. Shell sculpture of spiral riblets crossed by finer axial lines. Interior of shell polished, color tan. Shell color pinkish-gray to light-tan. The animal is The animal is cream-colored with dark and whitish spots. 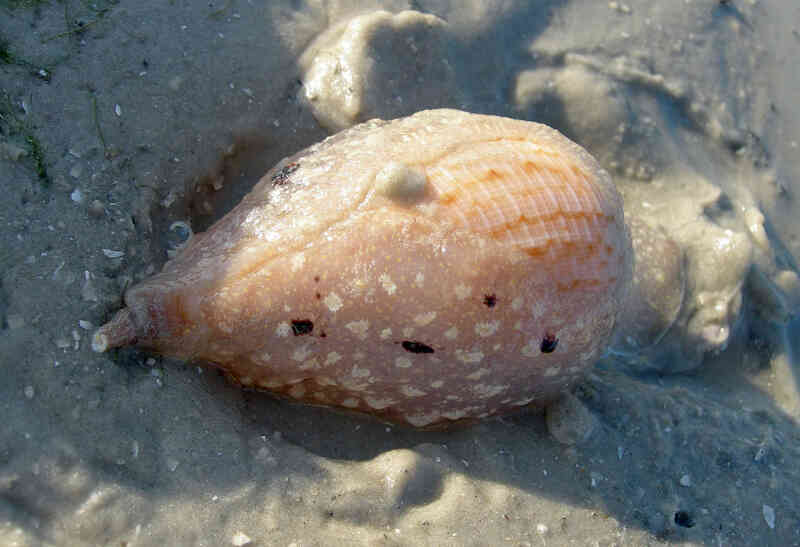 Photo of the live fig snail was taken by Amy Tripp on Kice Island, Collier Co., Florida. 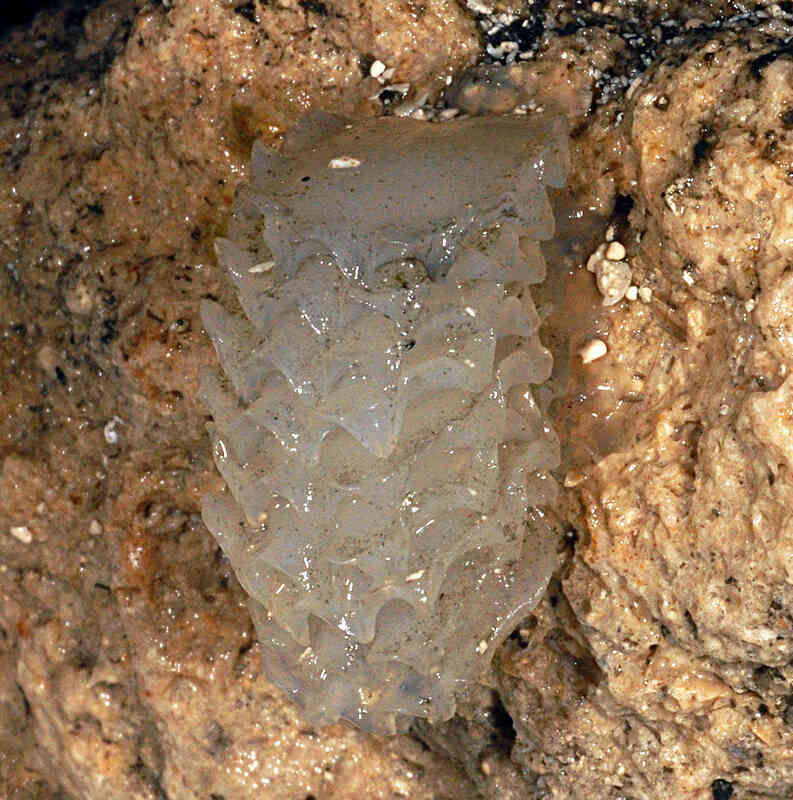 The egg cases are stacked on top of one another and are attached at one small area of the fluted edge. Color opaque white. Egg cases laid at Museum live tank. Ficus ficus (Linnaeus, 1758) (=Ficus communis Röding, 1798) is a separate species with more southern distribution.